All of our rates and fees can be accessed through our website. In order to keep our overall rates and charges low, provide “the extras” and maintain our excellent service, a 5% Administration Fee is added to every invoice to cover a portion of business costs. These costs include, but are not limited to: providing our sitters with employee benefits (workman’s comp and paid time off), our liability and bonding policy, insurance(s), tax liabilities, sitter vetting and orientation programs, background checks etc. 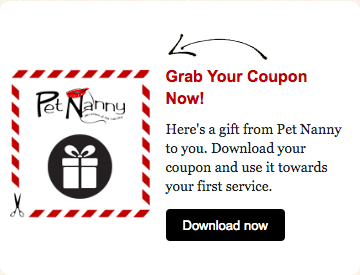 Pet Nanny accepts payment via credit card through our secure merchant account. For your convenience we keep a credit card on file. We will email your detailed service order for your review. You can then let us know if any changes need to be made to the order. Your card will be charged approximately 4 business days prior to the start of your service order. We do not provide refunds, but use the remaining amount as a credit balance on your account for future pet care needs. Your credits expire after 6 months. Our regular business hours are Monday-Friday from 9am to 4pm. The office is closed on weekends and all Federal holidays. Calls are monitored for emergencies when the office is closed. All other calls are returned during regular business hours. Your reservation is only confirmed when you have received a final invoice/confirmation via e-mail. To make a reservation you may use our on-line scheduling system, send us an email or call the office at 610-716-7826. Messages left are not considered confirmations. We adhere to a strict policy of NO OVERBOOKING. Therefore, once you have contracted services, we will turn away business in order to accommodate your schedule. You will be charged for all visits and overnights without proper notice of cancellation. Morning and Evening visits occur between the hours of 7:00 and 9:00. Mid Day Walks occur between 11:00 am and 3:00 pm. Evening visits are between 4 pm and 6 pm. Cats are always visited a minimum of every 48 hours and dogs are visited a minimum of every 12 hours. If you would like to reserve a specific time, $5 will be added to the cost of your visit. We understand that your friends and families may want to check in on your pets while you are gone however our policy is to not provide “shared” pet care with outside services, friends, family etc. It is of course nothing to do with your friends, it has to do with our insurance policy. It’s in place should anything happen with your house, our worse something with your pet(s) while they are in care of your friends, or while they were in your home, Pet Nanny, LLC could be held liable, even thought we were not responsible. We will not provide service for pets with another party. If we arrive at your home and there is an unexpected person in your home, we will leave the premises and report our finding to the local authorities. Additionally, Pet Nanny is not responsible for any damages incurred to or in your home or to your pet during any time period that anyone other than Pet Nanny, LLC has access to your home. Sometimes emergencies happen – our goal is to help you when you need it most, even at the last minute. However, do not assume that we have received your last minute request until you have received an invoice/confirmation via e-mail. A $10 fee will apply to reservations made with less than 24 hours notice. Reservation requests that are submitted over a weekend for Monday service will be charged the Late Booking Fee. A one-time $15.00 fee will be charged for processing all new clients. This fee is non-refundable. This fee is due when you book your registration meeting. The fee will be charged 4 days prior to your scheduled registration meeting. PN suggests you leave a key in a secured lock box for your Pet Nanny. You can purchase a lock box from the PN office for the wholesale price of $20. You can also schedule our key pick-up and drop-off service, $12 each way, leave a key hidden in a pre-determined place, or allow entry with a garage code. PN WILL NOT retain a copy of your house key. If you ask your sitter to keep a copy of your key, Pet Nanny LLC will not be held responsible for it. Pet Nanny will NOT care for unsecured pets. This means outdoor cats or dogs. It is the pet-owner's sole responsibility to pet-proof any areas of the home and/or property to which the pet has access. This includes thoroughly inspecting fences, gates, latches, doors and other devices meant to keep the pet inside or away from any 'forbidden' areas. The pet sitter does not assume and has no liability for any injuries the pet may sustain while in its own home. It is the pet owner's responsibility to provide safe access to their home shoveling their sidewalks, steps and porch. Pet Nanny reserves the right to adjust the thermostat, close/open windows (as long as it remains safe and secure), turn air conditioner on/off or etc. in ALL of our client’s homes if our sitters feel the climate is posing a health risk to your pet(s) in our care. Our staff will notify you if you are accessible. We recognize that your privacy is important to you and your family. We will not, at any time, either directly or indirectly, use any information for our own benefit, disclose, or communicate, in any manner, any information to any third party. 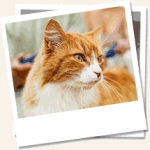 Services: Personalized Pet Care Rate: Please review your invoice for your fees. Ground Rules: The term Pet Nanny as used herein refers to the officers, owners, principals, employees, and subcontractors of the company known as Pet Nanny and its authorized representatives. This contract authorizes Pet Nanny to enter the Client's home to provide the services listed herein and on the invoice, which shall be an addendum to this service contract. Upon Client's request to provide services in the future via phone, email, or the on-line scheduling system, Client agrees that this contract shall be renewed or extended in its entirety, without further written authorization. The term of said renewal shall coincide with the service dates as listed on the most recent of an email confirmation or an invoice. 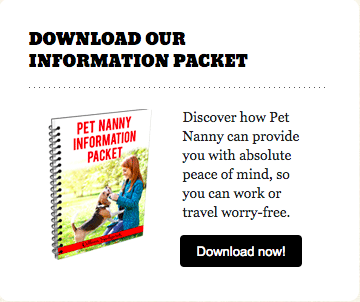 Pet Nanny agrees to provide the services stated herein in a reliable and trustworthy manner. In consideration of these services, and as an express condition thereof, the Client expressly waives and relinquishes any and all claims against Pet Nanny unless arising from deliberate negligence on the part of Pet Nanny or their representative(s). If the pet(s) become ill and medical care is needed while under the care of Pet Nanny, Client authorizes Pet Nanny to transport the pet(s) to Client's veterinarian (or one who is available). Client authorizes Pet Nanny to approve any emergency treatment recommended by said veterinarian. Client authorizes Pet Nanny to take Client's pet(s) to an emergency clinic for animals when the Client's veterinarian is not immediately available. Client further agrees to promptly reimburse Pet Nanny for any expenses incurred for emergency treatment. Client releases Pet Nanny from any and all liabilities related to transportation, treatment and expense resulting from emergencies. Client agrees to reimburse Pet Nanny for the purchase of materials necessary for the satisfactory performance of duties; and for any emergency expenses incurred resulting there from. If Client is delayed in returning home, Client agrees to notify Pet Nanny of such delay, and agrees to pay Pet Nanny for any additional visits required until their return. If Pet Nanny is locked out of Client's home, Client gives authorization for a locksmith service to perform any entry services as deemed necessary for Pet Nanny to access the home. Client further agrees to promptly reimburse Pet Nanny for any expenses incurred due to Pet Nanny being locked out due to Client error. Pet Nanny will make every attempt to gain access to Client's home before calling a locksmith. Client agrees to not solicit any of Pet Nanny's employees, pet sitters, contractors or representatives for pet care, exclusive of Pet Nanny. Client agrees to inform Pet Nanny in the event that any of Pet Nanny's employees, pet sitters, contractors or representatives solicits business from the client. The Client fully understands the contents of this contract and agrees to pre-pay the total fees for services stated herein, and to pay any additional charges due when the service has been completed. In the event any part of this contract shall be determined to be invalid it shall have no bearing on any other part of this contract.